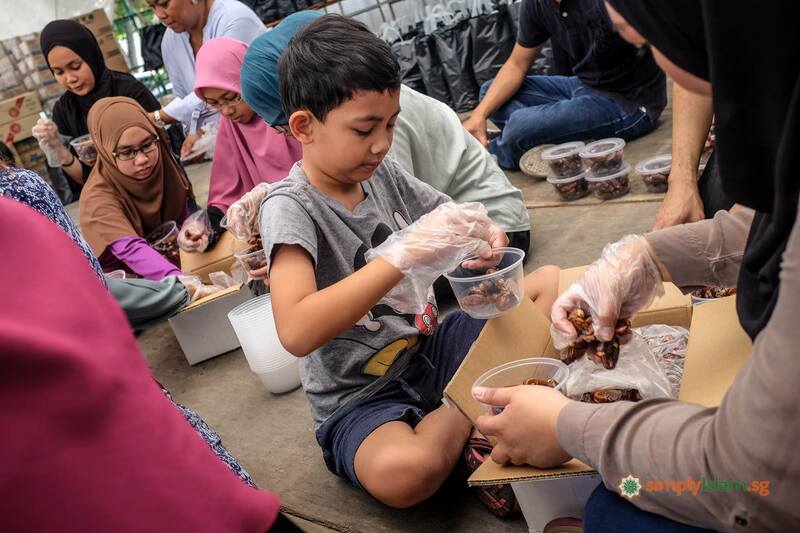 For the 11th year running, SimplyIslam.sg is happy to continue our annual Ramadan project where we provide food and financial help to over 220 needy families in Singapore in time for Eid al-Fitr. In the early days, we organised the charity drive with only Muslim Kidney Action Association (MKAC). The organisation provides care and support to Muslims who are suffering from kidney failure and chronic ailments, and provides financial assistance to the families concerned. 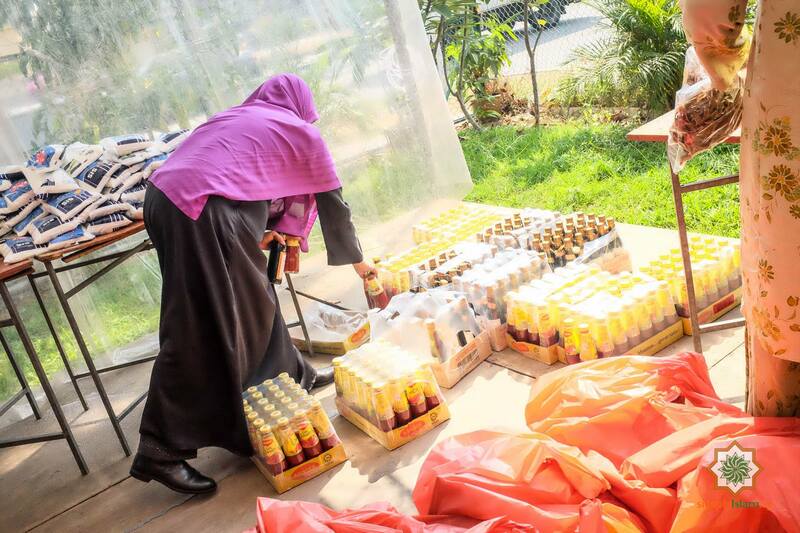 Over the years, we’ve collaborated with more organisations and groups, thereby increasing the Ramadan Charity Basket recipients! On top of MKAC recipients, we will also be helping recipients from Marine Parade Community Club. 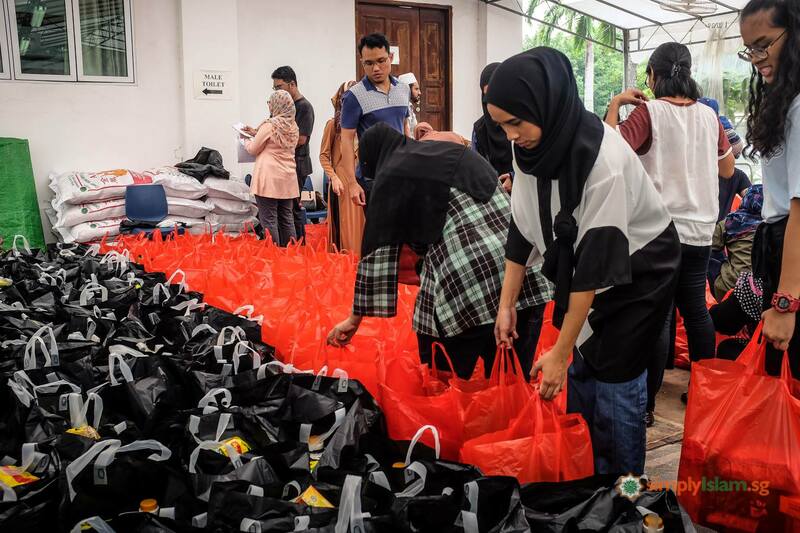 The CC supports needy recipients living in Marine Parade, and in collaboration with the Malay Activity Executive Committee (MAEC), the Marine Parade needy recipients will receive the goodies from the Ramadan Charity Basket! We will also continue to support our neighbour, the Darul Aman Mosque. The Mosque is a unique landmark with its traditional ‘kampung’ design, strategically located in the heartland of the indigenous Malay community. It serves various local ethnic congregants and embraces the larger community of foreign residents in Singapore. Beyond religious classes and festivities, its outreach includes facilitating family services, in particular the under privileged. Once again, the poor and needy residents under the care of the Darul Aman Mosque will receive the goodies of the Ramadan Charity Basket. Eid, or Hari Raya, is a time when families cook delicious food, wear beautiful clothes and spruce up their homes in anticipation of guests. In Singapore, celebrations go on for a month long! 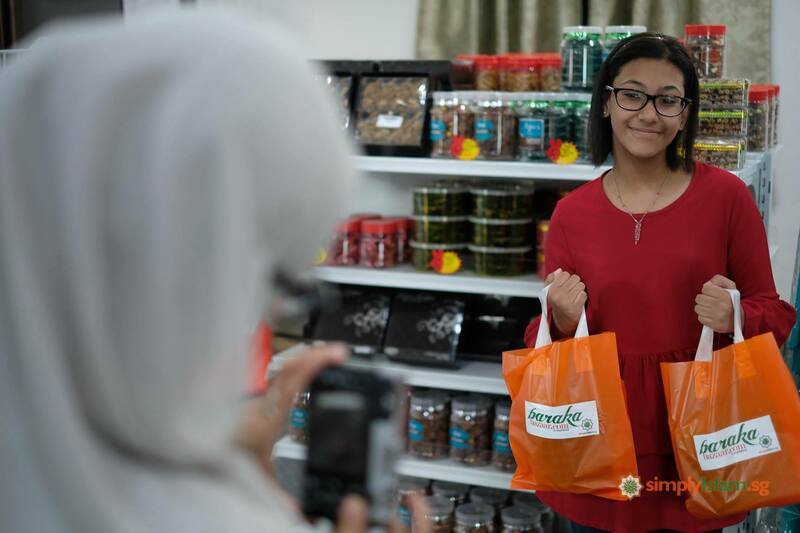 Not all families can afford what the ‘typical’ Singaporean family enjoys and especially during Eid, it can feel even more lonely. The food provisions include rice, milk, sugar, dry foods and other basic amenities including Eid novelties, and some cash. Please donate generously so we can make Ramadan & Eid better for these families. 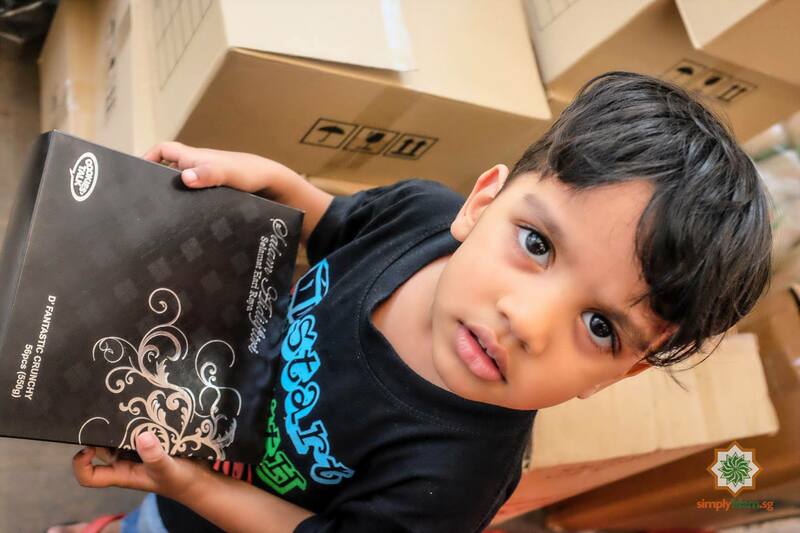 If you would like to volunteer to PACK and/or DELIVER the Baskets, please email your Name and Contact Number to enquiries@simplyislam.sg or call 65474407. Delivery of the Baskets will be on Saturday, 2 June and Sunday, 3 June 2018, 2pm to 6pm. Please volunteer to deliver especially if you have a vehicle! 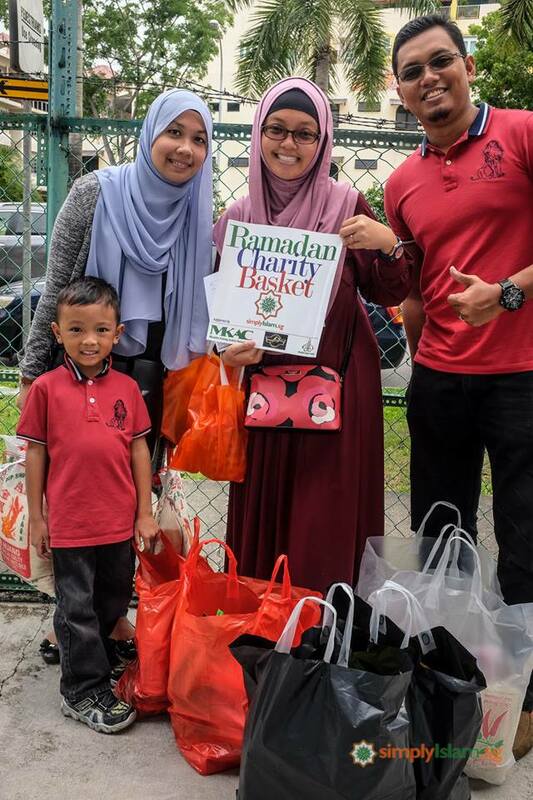 Each Basket has rice, milk, sugar, dry foods and other basic amenities including Hari Raya (Eid) novelties. They cost around $200 each. 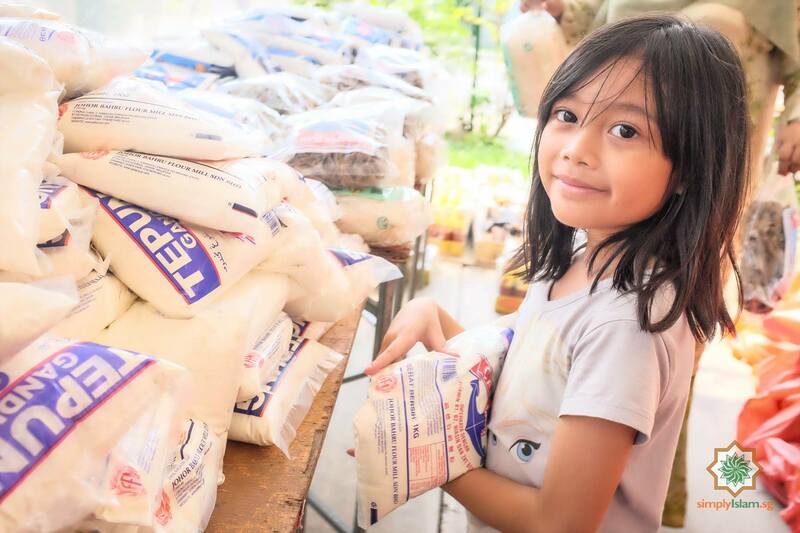 We want to raise $60,000 to continue providing for over 220 needy families this Hari Raya or Eid. If we raise more, each family will get some cash Insha’Allah. 1. Share this campaign with your family, friends and on social media! 2. Donate generously. If you are unable to sponsor one Basket, gather a few friends to raise the $200/Basket! Payment, by cash, NETS, credit card or cheque, can be made personally at SimplyIslam during office hours. For cheque payment, please issue a crossed cheque payable to SIMPLYISLAM. Please write your name and contact number on the reverse side of the cheque indicating “Ramadan Charity Basket”. For payments by credit card, charge card or PayPal, please choose any of the giving levels on the right of this screen. 3. Volunteer to help deliver (if you have a vehicle) the Baskets to the families in need. May Allah subhanahu wa ta’ala reward you for your kind contributions with His Blessings and Bounties in perpetuity, Ameen.